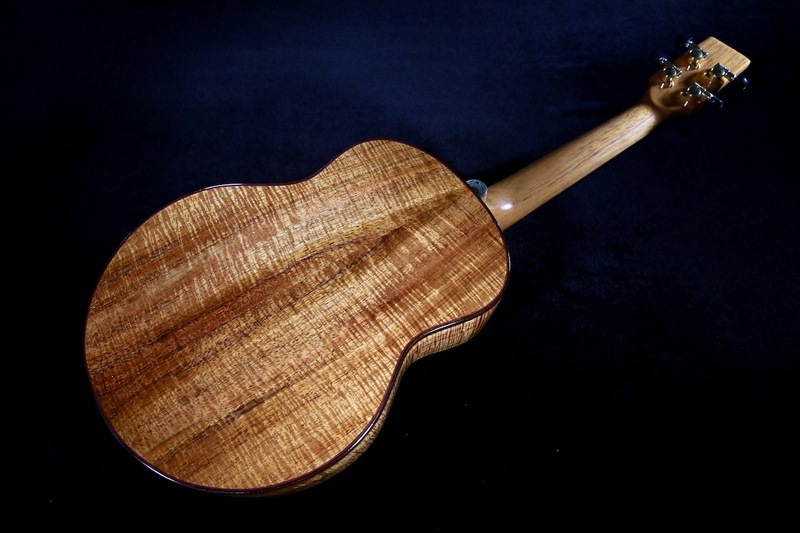 Custom ukuleles by Pegasus Ukuleles. 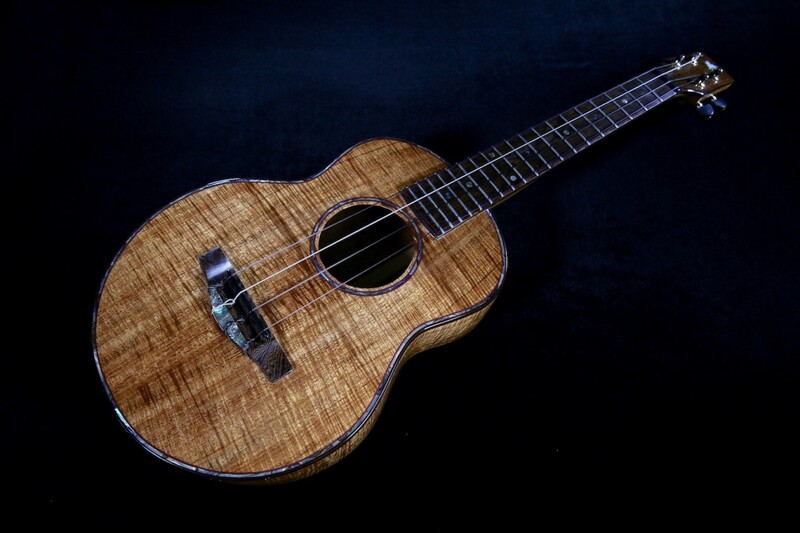 Beautiful Pegasus 4-String Tenor Ukulele handcrafted in the contemporary shape by luthier Bob Gleason of Kurtistown, HI. 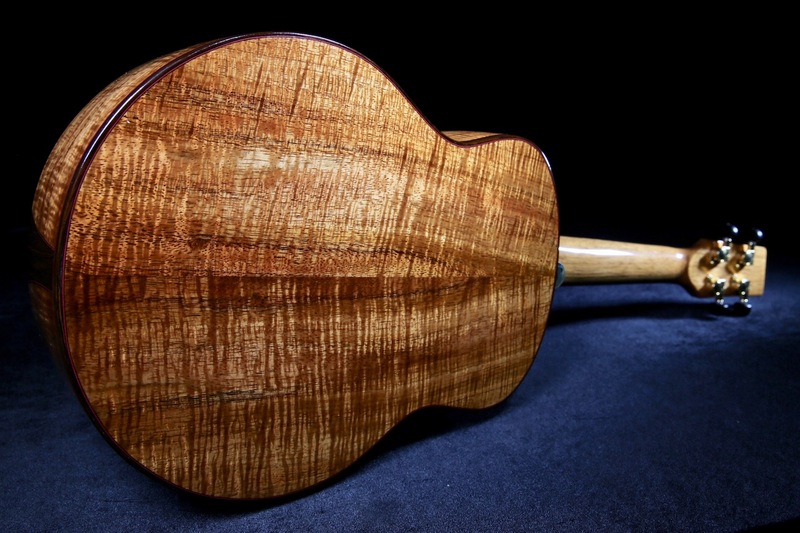 Bob handcrafts some of not only the most aesthetically pleasing ukuleles available on the market but also professional recording level instruments for both the professional musician and recreational player. 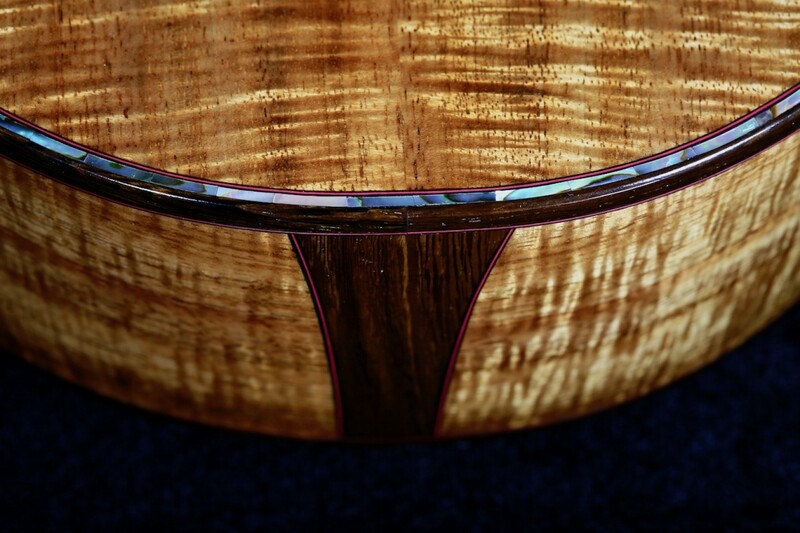 Built in the classic shape rather than the contemporary shape, the contemporary shape has a less rounded lower bout. 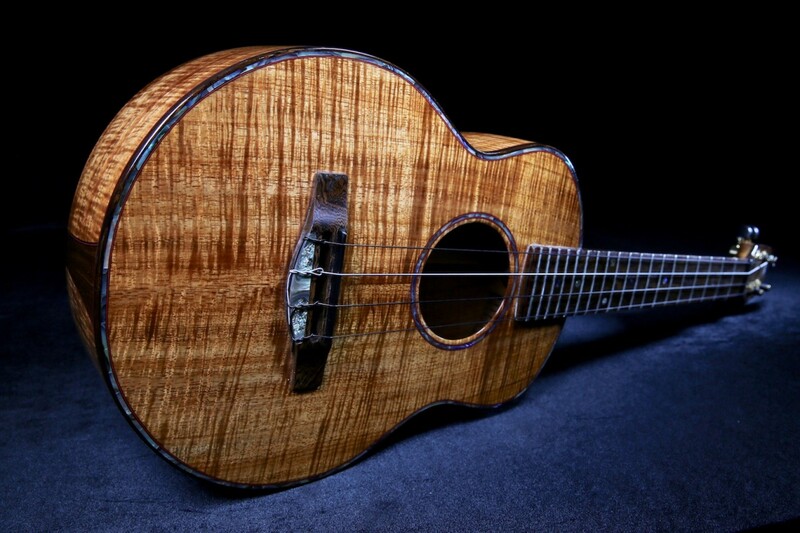 The top is handcarved from master grade Hawaiian Koa wood with a matching master grade Hawaiian curly Koa wood back and sides. 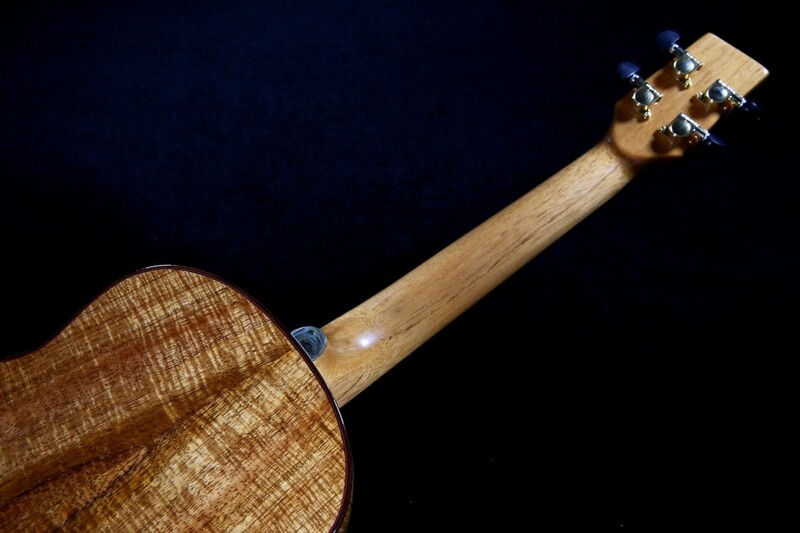 Gorgeous Pheasant wood or ‘Kolohala’ headstock plate and top and back binding show an elegant contrast with the Hawaiian Koa wood and tie in the beautifully with the overall theme of the instrument. The neck has been carved from Honduras mahogany for added structural integrity and sustain. 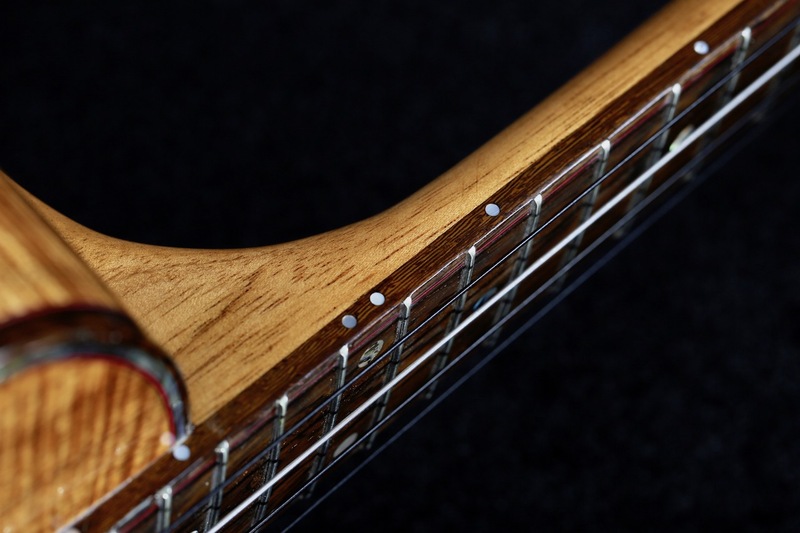 The fretboard has been slightly radiused for ease of play on the wrist angle of the player and is crafted of musicians-grade Kolohala as well as the bridge. 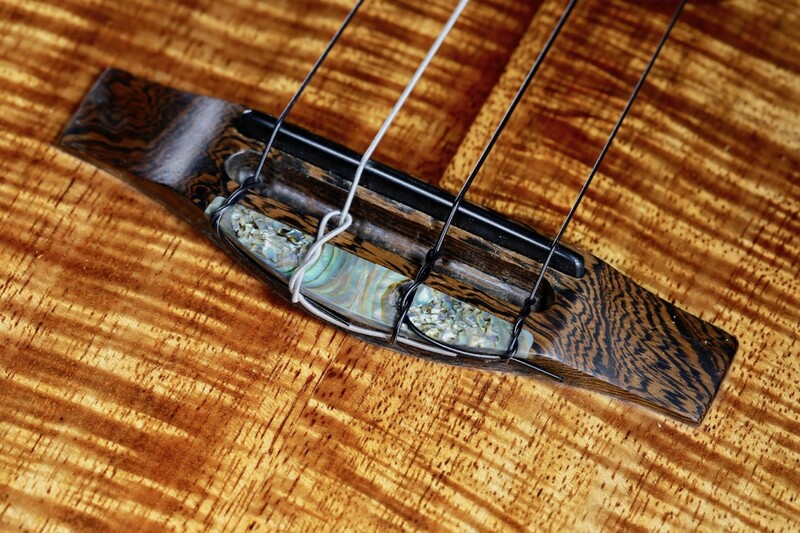 There is a paua shell or abalone rosette and top abalone shell purfling in addition to a mother-of-pearl ‘Pegasus’ inlay on the headstock with abalone shell position markers on 3, 5, 7, 10, 12, 15, and 17. 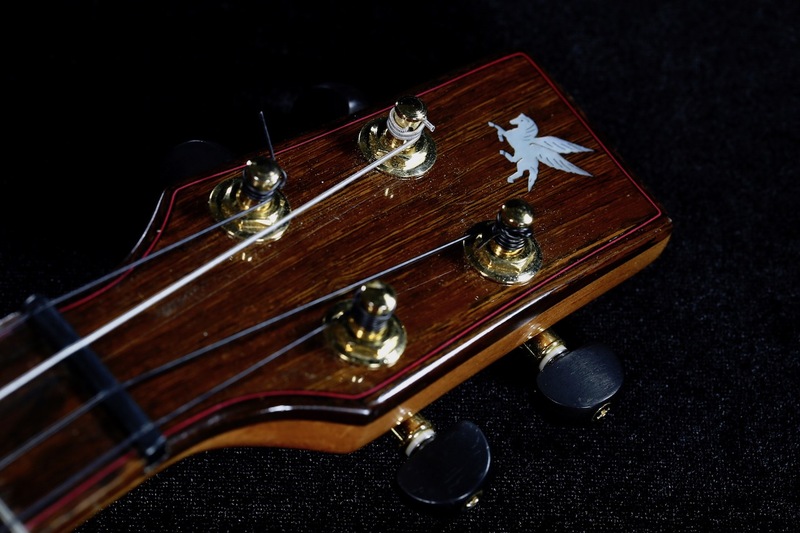 The heel cap also has a hand-cut piece of abalone shell and the logo cut of mother-of-pearl as a signature mark of Pegasus Ukuleles. 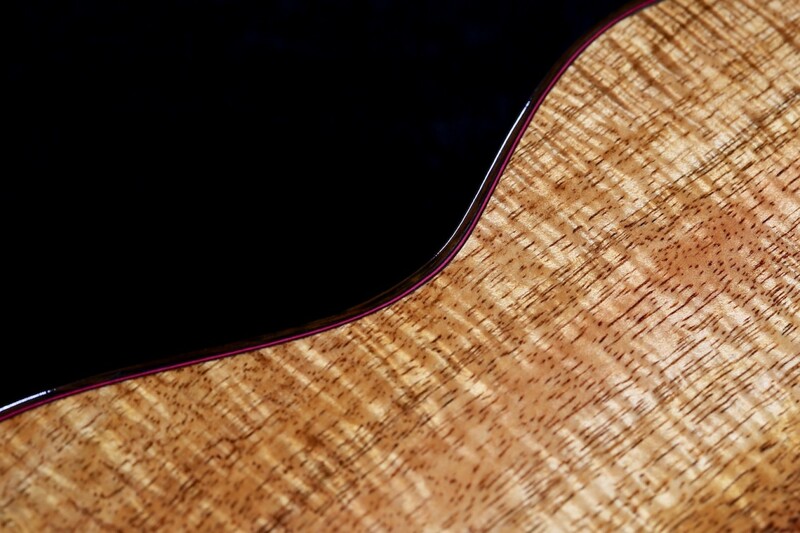 All the shell inlay is solid shell. No laminates were used. 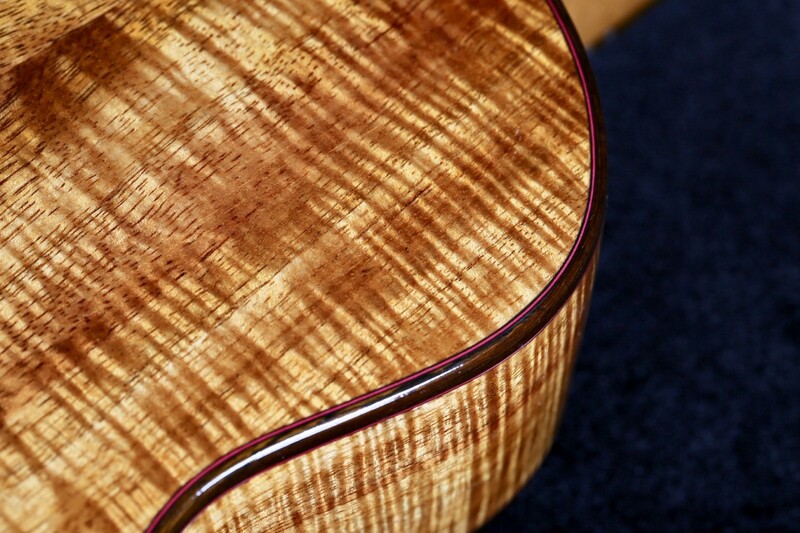 Gorgeous black-red-black accent lines on the top, sides, and back of the instrument attesting to the skills of the build. 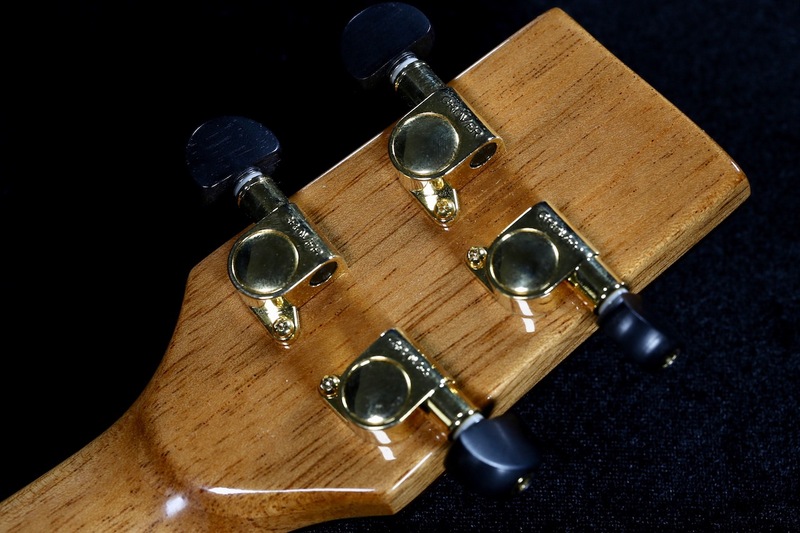 Professional Grover gold mini-Rotomatics geared tuners with black buttons for precise tuning. 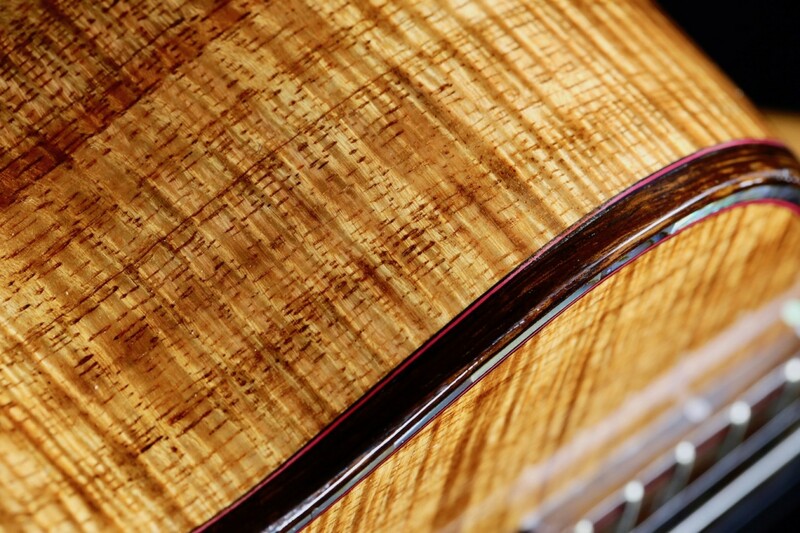 All of Bob’s ukuleles are meticulously crafted from the finest materials and with stunning attention to detail. 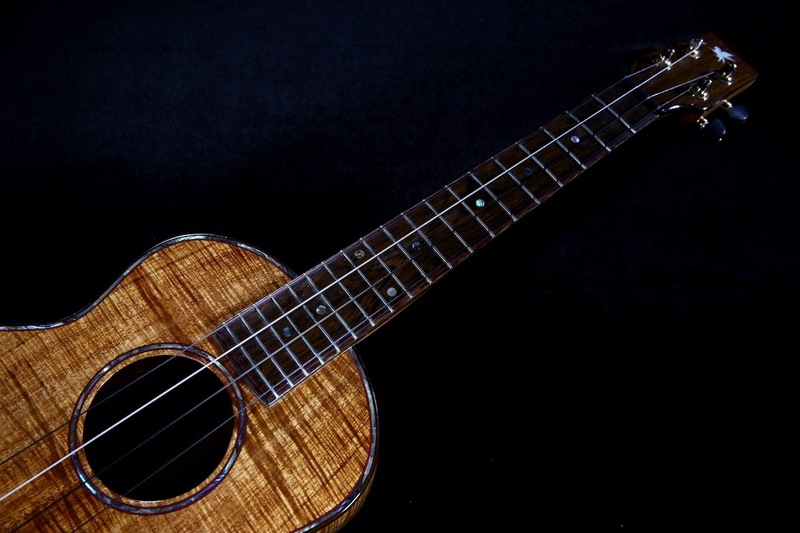 They are amongst the most sought after ukuleles and yet some of the most difficult to acquire. 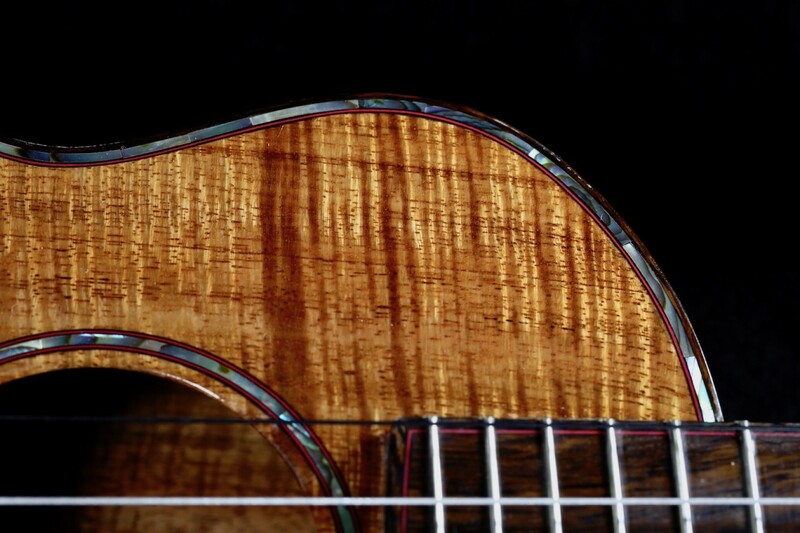 A true work of art aesthetically with some of the cleanest luthiery techniques employed by the 21st century ukulele luthier. A side sound port has also been implemented for monitor-like performance for the player. 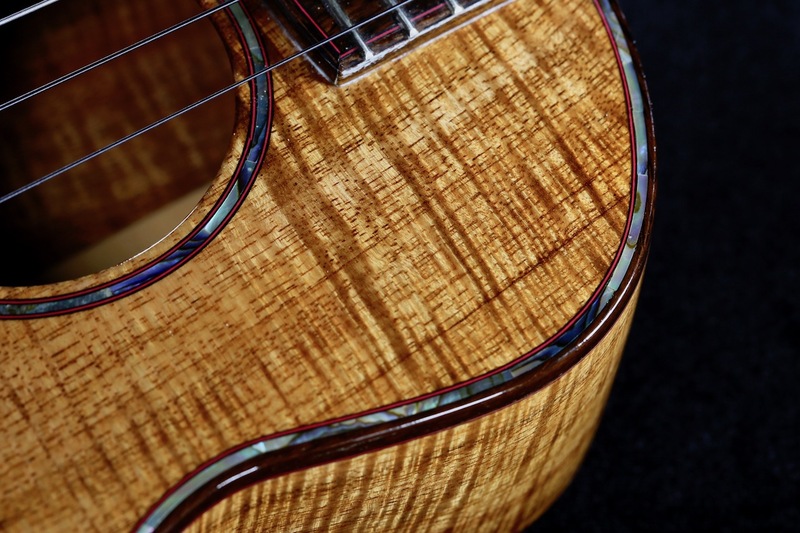 Bob’s instruments have perfectly set intonation, are very cleanly built, and offer precise tones all the way up the neck. 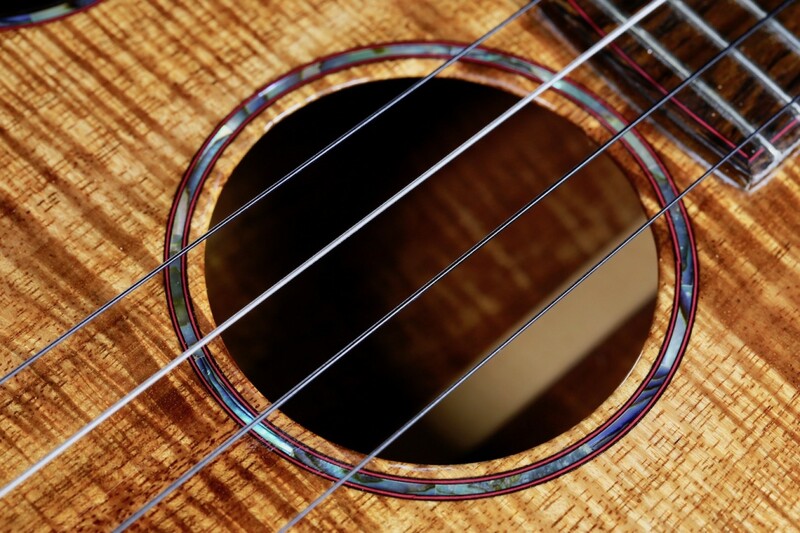 Nice crisp and clean notes all the way up the neck. Deep lows with a nice balanced mid-rage and crispy high notes as well.